This month has apparently been a month of ships. 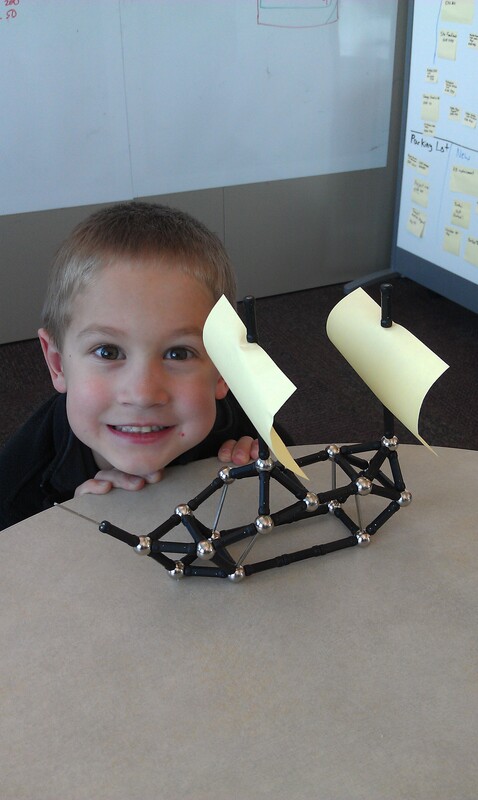 William has been interested in ships of all kinds but especially pirate ships. It seems that March has been the month for him, though I don't think anybody has been complaining. In the middle of the month everyone stopped by to visit me at work. I have some magnets on my desk and William was quite and stayed busy with them for a while and as they were going to leave he finished and showed us what he was up to. Pretty impressive if you ask me. Growing up I dreamed of going into space someday. To be honest I still dream about it. 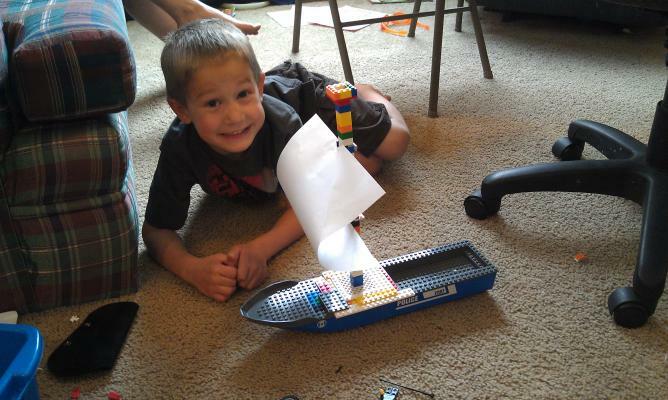 At the same time I grew up building with Legos. I think both have significantly contributed to who I am today. Or maybe they are just outward expressions of who I am. 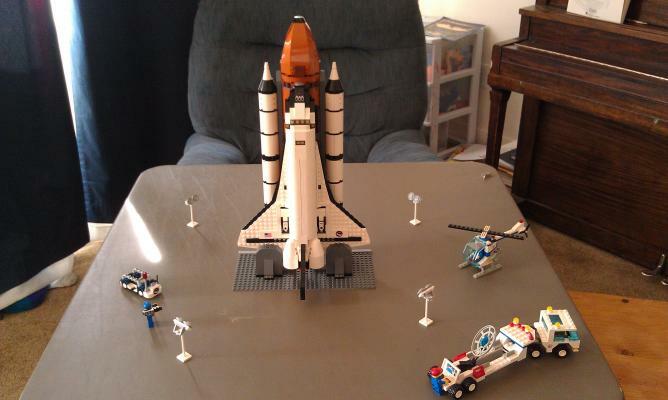 In any case, for my birthday I got a Lego space shuttle (Another type of ship ;-) ). I've been excited about it, and it is about all Shauna and I could do to keep the kids from playing with and tearing it apart. 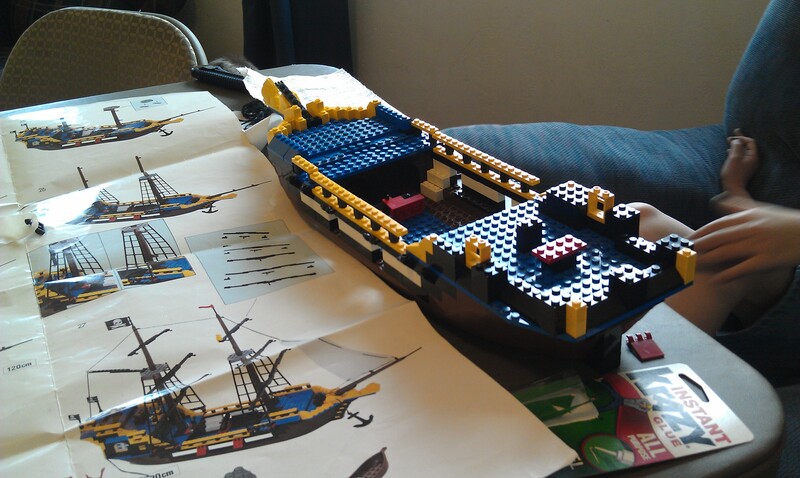 Growing up I got a Lego Pirate Ship (or really an imitation brand that didn't entirely stick together). It's been sitting in a bag in pieces for years and with the boys so fascinated with ships I decided to pull it out and put it together with super glue so it would stay together. It's definitely a slower process, but the boys are going crazy with anticipation. Here it is so far. Since it was taking so long William decided to make his own. I think he did pretty good.